While some fields of study and careers experience peaks and valleys in appeal, a liberal arts and sciences education can offer a competitive advantage in the labor market and enduring career success. In fact, in the face of rapid technical advancement, climate change, globalization, and social and political uncertainty, a liberal arts degree is a priceless asset. At the College of Liberal Arts and Sciences (LAS), we know that the most important jobs of tomorrow have yet to be created. The world needs sharp minds, critical thinkers, and leaders who will be able to leverage new opportunities and inspire positive social change. Our goal is to provide students with the knowledge, skills, and scholarly foundation - across the humanities, natural sciences, and social sciences - for long-term success. We challenge students to set and achieve ambitious goals for themselves, and our graduates emerge from our programs as sharper communicators, researchers, problem solvers, and leaders equipped with the very skills that today’s employers demand. LAS students also have access to robust supports including First-Year Seminars and learning centers for assistance with language, math, writing, and science courses. 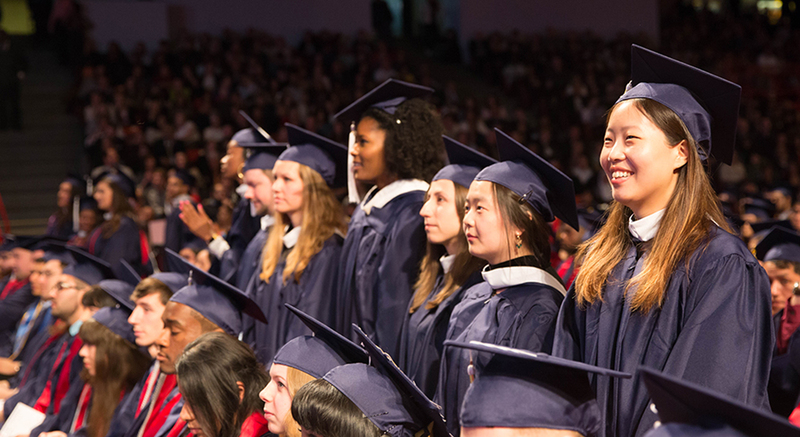 Our dedicated and professional academic advisors offer full-time support to each and every student throughout his or her academic journey at UIC. At LAS, we believe that a liberal arts and sciences education offers door-opening experiences, career flexibility, and opportunities for students to achieve a brighter future for themselves, their communities, and the world at large. … the ever-expanding tech sector is now producing career opportunities in fields… that specifically require the skills taught in the humanities. To thrive in these areas, one must be able to communicate effectively, read subtle social and emotional cues, make persuasive arguments, adapt quickly to fluid environments, interpret new forms of information while translating them into a compelling narrative and anticipate obstacles and opportunities before they arise. Programs like English or history represent better preparation…for the demands of the newly emerging “rapport sector” than vocationally oriented disciplines like engineering or finance. Unlike most university courses, students following a liberal arts path will gain knowledge and expertise in diverse fields, ready to tackle whatever life throws at them after graduation. This diverse range of skills prepares students to implement their knowledge across a wide range of professions and communicate their ideas to different individuals and groups. These dynamic qualities are essential to driving the collaborative economy, giving them the best future prospects possible in the face of change.